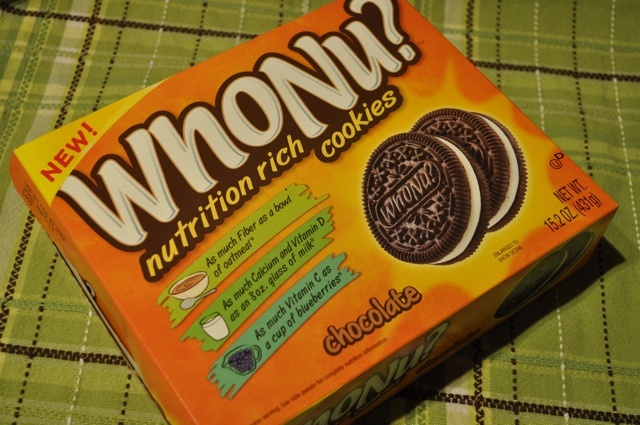 I’m not usually one to be “wowed” by packaged foods, but every now and then I love an Oreo cookie or two (or a small stack) with milk, even though I know it’s not “good” for me.Â These new “WhoNu” cookies deserve a little credit though, because while they taste like regular Oreo cookies, they are fortified with loads of good stuff. 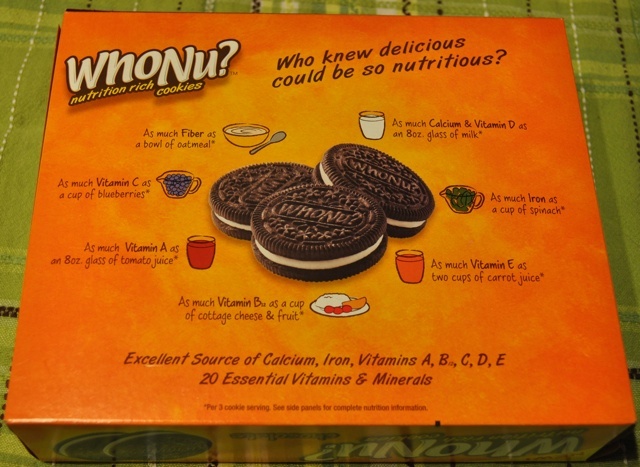 While I’m not convinced that eating three cookies is truly as nutritious as eating all of the items listed in the “as much as” comparisons, it is nice to know that there are some “junk food” options that are fortified to have some health benefits if not used to replace healthful foods.Â In addition to the vitamins and minerals previously mentioned, these cookies provide 10% Vitamin K, 10% Riboflavin, 10% Vitamin B6, 10% Pantothenic Acid, 10% Zinc, 10% Manganese, 10% Thiamin, 10% Niacin, 10% Folate, 10% Biotin, 10% Iodine, 10% Copper, and 10% Chromium. 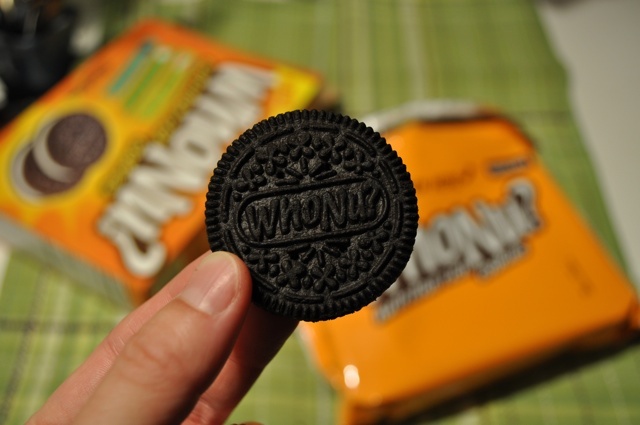 All in all, as far as store bought cookies go, these aren’t a bad choice!Â For more information about WhoNu cookies, and even some yummy looking recipes utilizing these cookies, visit their website!